We adults only choose things which is really efficient and useful for our daily life. But for kids, they always need something fantasy and excitement. A few years before, people had only desktop for gaming and entertainment. But now we have various devices like Smartphones, Tablets, etc. Kids too prefer these digital devices more than the physical toys for their entertainment. Today I came with a list of apps for Windows Phone to improve your kid’s thinking and of course no stop for playing. It will be completely entertainment based learning for your kid. Also it gives you an idea about your kid’s talent and skills while using these applications. Let’s have a look at the applications below. Drawing is the evergreen entertainment for kids. Every a kid scribbles in the paper it is a great memory for parents. So it’s time for your kid to start drawing. Here we have an app for windows phone called “draw free” to draw using your windows phone. You can save those pictures on your windows phone. Also you draw on the pictures you have taken from your phone. This is a great app for windows phone to enjoy the beautiful scribbles of your kid. Puzzle Time is a best app for your kid. It will make your kid to learn new things, animals and much more. This app has a set of puzzles to test your kid’s memory, logical thinking, etc. You have to choose a category and start solving the simple puzzles designed for kids. First it starts with arranging the missing pieces of a picture. The puzzles will be related to letters, numbers and shapes. You have a different set of puzzles to improve your kid’s logical thinking. This will be fun as well as learning. Xylophone is one of the favorite music instruments for kids. The sound from Xylophone is very unique, pleasant and fun. Now using this app you can play the Xylophone music on your windows phone. It has 6 inbuilt Christmas songs and 90 kids songs from all over the world. It supports multi-touch and you have two beautiful keyboards. One have the rainbow pattern and the other one have the wood style. You can choose from them. Toy Xylophone is a best entertainment app for your kid. Kid Cards is a flash application for kids. It has different categories of tasks to do. Also the kids can create categories on their own. It will show an animal or an object in a blurred view and your kid has to identify it. In order to test the memory of your kid, it will show a set of boxes with pictures, then some of them will be missing, your kid has to find the missing ones. Then the best one is, the name of an object will be played in English and your kid has to translate that in some other language. This application is complete learning come fun tool for your kid. 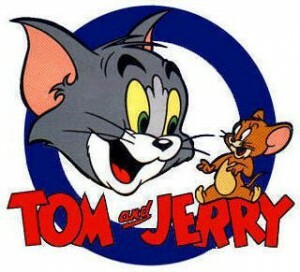 Tom and Jerry is one of the Evergreen Cartoon show. Now to entertain your kid you can install this application on your windows phone and start showing all the episodes of Tom and Jerry to your kid. All the videos will be available in tile view on the home screen of the application. The best part of the application is every day you will receive a new video from the developer’s team. Fun Coloring Book is a best entertainment app for your kid. We have seen Draw Free app to draw in your windows phone. The Fun Coloring Book will let your kid to paint colors on the pictures available in the application. You can save the pictures also you can paint the pictures took from your windows phone camera. It supports both portrait and landscape mode. You can email the pictures to your friends or relatives directly from the app. These are the six best applications for kids available in windows Marketplace. Try these applications in your windows phone and enjoy using the app with your kids. Also don’t forget to share your experience with us in the comment box. Author Bio: Prakash is a Freelance Content Writer and Blogger at DailyTUT. You can get upto 50% Bitdefender Coupon or Kaspersky Coupon Code 2012 to protect your windows computer from virus attacks.